Before we launch into our recap of the "race", let’s very quickly talk about beer, particularly beer in a can. It is beer can appreciation day. 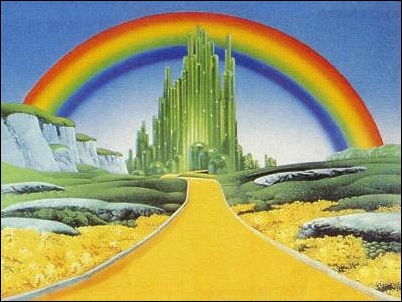 In 1935 this became a reality. Truth is though we need to spend a little more time on the topic than I am allotting here so I am postponing a more detailed discussion of the beer can and its impact till Thursday. Best race number I have ever had. Instead we are going to recap the Crystal City 1K Beer Walk that I, my friend Brett, and his wife Amy participated in this last Sunday. 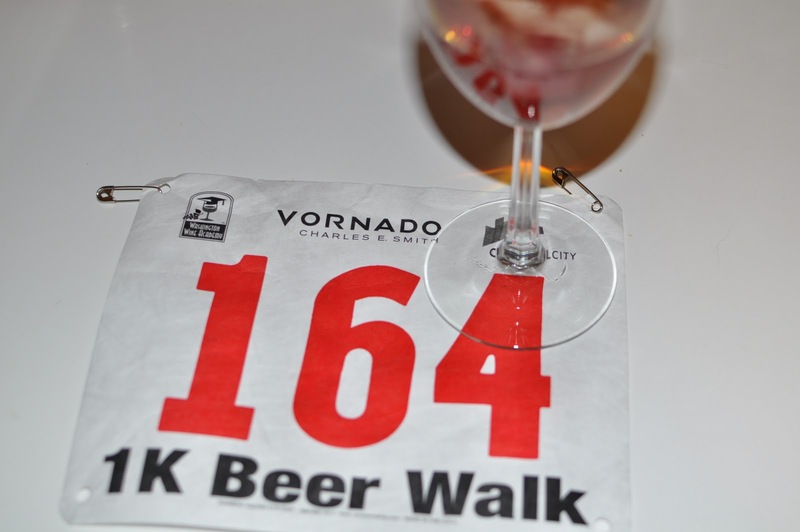 The Crystal City 1K Beer Walk is the sister event to the Crystal City Wine Walk, both of which are hosted by the Washington Wine Academy. The concept is pretty simple, walk from station to station trying different beers. To add to the “race” atmosphere and to control traffic flow there were heats throughout the day. Ours was the second heat starting at 2:30 PM. Check in went very smoothly and we quickly had our race numbers, tasting glasses, and our 20 drink tickets. The course snaked through the Crystal City Underground, a collection of shops and eateries that exist beneath the “tall” buildings of Crystal City*, starting at the 2200 block street entrance and finishing in the old food court by the 17th street entrance. We were able to enjoy an array of beer, everything from Ommegang and Spaten to Old Milwaukee and Shiner. For friends of the grape, interspersed in with the beer were various wines. It was a nice touch, but my attention was wholly focused on the grain. In addition there were also complimentary snacks along the route to include barbeque sandwiches and slaw, pita bread and hummus, and cheeses. We hit all the tasting stations except for the first where the line was out the door. The set up for each station was rather novel. They used the unoccupied retail space along the route which also brought along with it the advantage of security. Each stop had a person in a security shirt monitoring it to ensure no underage drinking or race bandits. It made sense though I am sure most of them would have rather been imbibing than watching. Everyone affiliated with the event that I encountered was courteous and helpful. On the beer side there were several standout breweries on display, the first was Port City Brewing, the local on display. (Being the second stop ensured that they received a good deal of traffic, they also benefited from the overwhelmed New Belgium station next door which only had one pourer) They brought their full range of year round beer for folks to taste, a good idea as they continue to grow awareness in the DC metro and Northern Virginia region. Bill Butcher, their founder and head brewer, was there and happily answered questions and spoke about his beer. (As I have stated before, I am biased for them, Port City is my local and I do want to see those folks succeed.) The fine folks from Flying Dog also had a standout selection showcasing their year round selections but unfortunately they didn’t bring their winter seasonal K-9 Kruiser, a favorite of mine. As I think of it, only a few breweries did have a winter seasonal, Harpoon with their Winter Warmer, Leinenkugel’s with their Fireside Nut Brown, Blue Moon with their Winter Abbey, and the most notorious beer of the event, the brilliant black chocolate stout by Brooklyn Brewery. Brooklyn also brought an IPA, a classic lager, and their excellent brown. Other highlights were the previously mentioned Ommegang Brewery pouring both their BPA (Belgian Pale Ale) and Witte Ale, and as a bonus, Duvel. I must admit I did do a tasting of Old Milwaukee, after all, it was my grandfather’s favorite beer. with him (M). Photo by Amy Evenstad. I can’t comment on how the event went on Saturday, but I can say that certain stands suffered on our day, in particular the New Belgium and the Samuel Adams stations being the most obvious. The New Belgium station, as previously mentioned, simply for the wait to be served; it was a bit of bad planning on the event’s part. Samuel Adams for a different reason, they were originally supposed to be serving Black Lager, Mighty Oak, Alpine Spring, Whitewater IPA, but were down and out of most selections, substituting their Latitude 48, and Coastal Wheat. The Latitude 48 isn’t too shabby as far as a substitute goes, on the other hand I don’t think I will ever care for the Coastal Wheat, it is the poor man’s version of their Summer Ale which frankly is a pretty solid summertime beer. I find the Coastal Wheat to be lacking in taste and body. 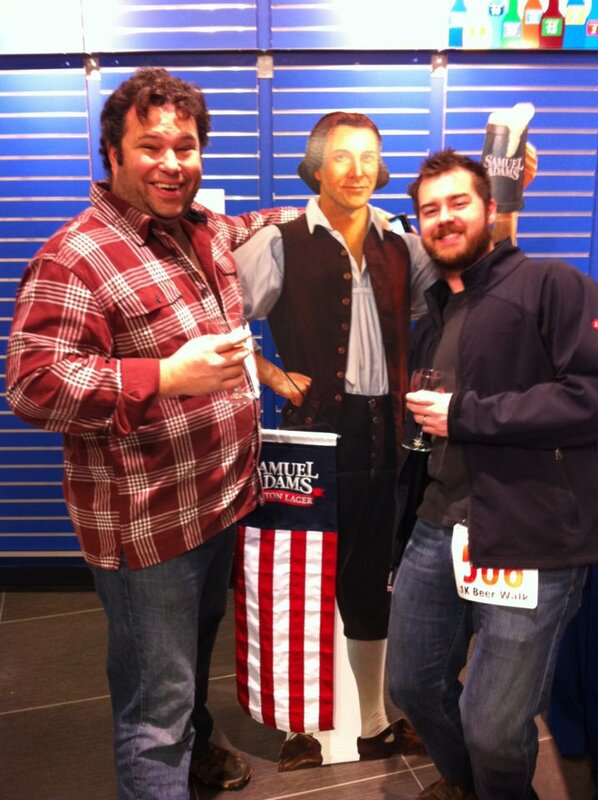 They weren't alone though, other breweries had also run out of various beers, Sam Adams was just the most noticeable. As we crossed the finish line we were treated to music and more beer selections and from my view everyone looked to be having a festive time. 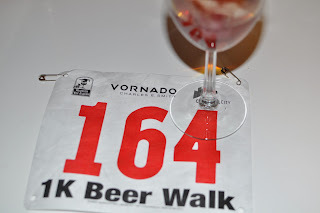 This was the first edition of the beer walk, and it was pretty solid. They had a good selection of beer, and while I would have liked to have seen more locals, such as Lost Rhino, Blue and Gray, or Alewerks out of Williamsburg, the selection provided was very decent. For $20 I felt I got my value both with beer diversity and snacks. I would recommend one server per beer to help move the lines along, particularly at the first station where it is almost a given that everyone will stop at. Overall though, for the first year the Washington Wine Academy did a fine job as host, it was a cool event, and I look forward to next year. If it was like the Virginia Wine Festival, most of the people working those stations are volunteers who have a few employees working with them. Just found you blog and I'm digging it! I'm Amy, we met while using Untappd at the walk. I agree with many of your observations. Sam Adams was a total let down -- I was looking forward to Alpine Spring. Ommegang is fantastic, we got the visit the brewery in early December and it was amazing, definitely worth the drive, they are a total class act. I like all your other beer choices as well and I am definitely adding the blog to my google reader. We have similar tastes in beer! Amy, thanks for stopping by! I'm still not sold on Alpine Spring, though now that I know it is a light beer I've warmed a little bit on it. I got a chance to speak with the Ommegang / Duval rep a bit about hydrofracking and its potential impacts on the Ommegang brewery which could be catastrophic to them. Based on your comments it seems like it will necessary to get up there a lot sooner rather than later. Thanks for commenting and if you have any recommendations or suggestions we are always open!